The Nissan Juke is a crossover that was launched in 2010 and has since been an extremely popular car down to its unusual looks and great drive. Inside the cabin the Juke can seat up to five passengers with more room available when the roof is folded down. At Charles Hurst Nissan we stock a wide range of second hand Nissan Juke's in a range of models and specifications. Take a look at the used cars we currently have in stock, if you would like any more information or to arrange a test drive contact us today. We&comma; at Charles Hurst Nissan Newtownards&comma; are pleased to bring you this 2016 Nissan Juke 1&period;2 DIG-T N-Connecta&comma; finished in Storm White Pearlescent paint&period; Offering you a Sat Nav with European maps&comma; a colour reversing camera to make parking a breeze&comma; and a beautifully finished suede interior&period; Why choose a Nissan? 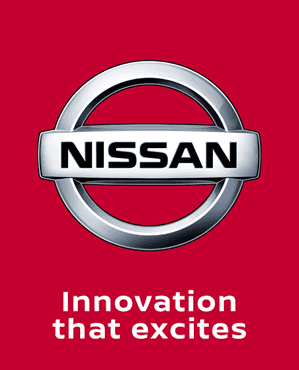 When you become a Nissan customer you will be part of the You + Nissan Customer promise&comma; which means you&apos;ll be provided with a free courtesy car to keep you mobile&comma; a free video health check when your car is in for service&comma; service price match with like-for-like competitor written quotes within 10 miles of your local dealership and continuous roadside assistance provided to you every time you service your car with us&period; So what are you waiting for? Call today on 02891 810555 and book your viewing and test drive now! We&comma; at Charles Hurst Nissan Newtownards&comma; are pleased to bring you this 2016 Nissan Juke 1&period;2 DIG-T N-Connecta&comma; finished in Gun Metal Grey metallic paint&period; Offering you a Sat Nav with European maps&comma; a colour reversing camera to make parking a breeze&comma; and a beautifully finished suede interior&period; Now available&comma; so call us today on 02891810555 and book your viewing and test drive! We&comma; at Charles Hurst Nissan Newtownards&comma; are pleased to bring you this 2017 Nissan Juke 1&period;2 DIG-T N-Connecta&comma; finished in Flame Red&period; Offering you a Sat Nav with European maps&comma; a colour reversing camera to make parking a breeze&comma; and a beautifully finished suede interior&period; Now available&comma; so call us today on 02891810555 and book your viewing and test drive! We&comma; at Charles Hurst Nissan Newtownards&comma; are pleased to bring you this striking 2016 Nissan Juke 1&period;2 DIG-T Tekna&comma; finished in Ink Blue metallic paint&period; With the Tekna model being the top specification in the Juke line-up&comma; you&apos;re going to be treated to a full leather upholstery with heated front seats&comma; great for the cold mornings&period; With the Nissan Connect system you&apos;ll have access to the SatNav with European maps and Point of Interest too&comma; ensuring you&apos;ll never feel lost no matter where you go&period; Plus you&apos;ll have Nissan&apos;s Intelligent Around View Monitor at your disposal&comma; allowing a 360 degree view of the car when reversing and parallel parking! So what are you waiting for? Call our friendly staff today on 02891 810555 and book your viewing and test drive now! We&comma; at Charles Hurst Nissan Newtownards&comma; are pleased to bring you this stunning Nissan Juke 1&period;5DCI Tekna&comma; finished in Ink Blue metallic paint&period; It comes backed by our 12 month Nissan Intelligent Choice warranty&period; With the Tekna model being the top specification in the Juke line-up&comma; you&apos;re going to be treated to a full leather upholstery with heated front seats&comma; great for the cold mornings&period; With the Nissan Connect system you&apos;ll have access to the SatNav with European maps and Point of Interest too&comma; ensuring you&apos;ll never feel lost no matter where you go&period; Plus you&apos;ll have Nissan&apos;s Intelligent Around View Monitor at your disposal&comma; allowing a 360 degree view of the car when reversing and parallel parking! So what are you waiting for? Call our friendly staff today on 02891 810555 and book your viewing and test drive now! We&comma; at Charles Hurst Nissan Newtownards&comma; are pleased to bring you this striking 2016 Nissan Juke 1&period;2 DIG-T Tekna&comma; finished in Gun Metal Grey metallic paint with red Exterior + Pack&period; With the Tekna model being the top specification in the Juke line-up&comma; you&apos;re going to be treated to a full leather upholstery with heated front seats&comma; great for the cold mornings&period; With the Nissan Connect system you&apos;ll have access to the SatNav with European maps and Point of Interest too&comma; ensuring you&apos;ll never feel lost no matter where you go&period; Plus you&apos;ll have Nissan&apos;s Intelligent Around View Monitor at your disposal&comma; allowing a 360 degree view of the car when reversing and parallel parking! So what are you waiting for? Call our friendly staff today on 02891 810555 and book your viewing and test drive now! We&comma; at Charles Hurst Nissan Newtownards&comma; are pleased to bring you this 2018 Nissan Juke 1&period;2 DIG-T N-Connecta&comma; finished in Pearl Black metallic paint&period; Offering you a Sat Nav with European maps&comma; a colour reversing camera to make parking a breeze&comma; and a beautifully finished suede interior&period; Now available&comma; so call our friendly staff today on 02891810555 and book your viewing and test drive!